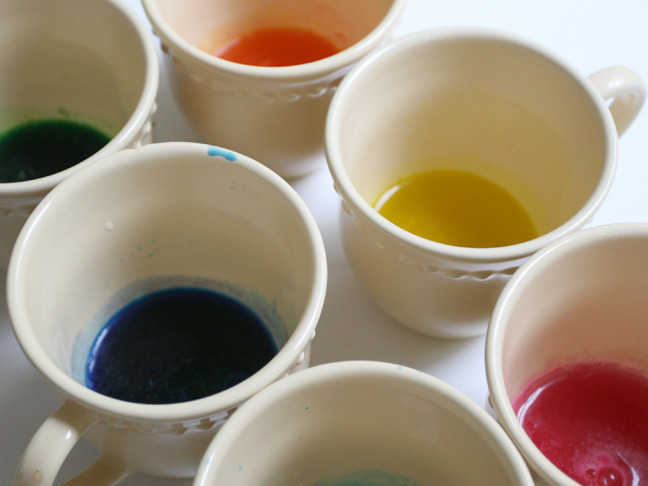 Dip in dye until desired color is achieved and let dry for about 1 a minute, turning 180 degrees and let dry for another minute. 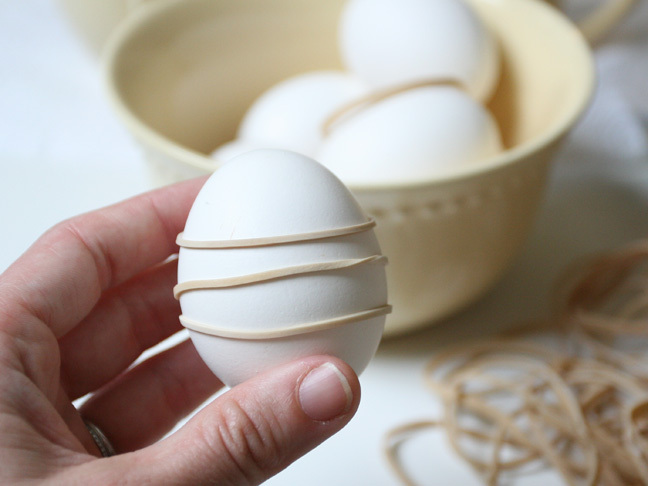 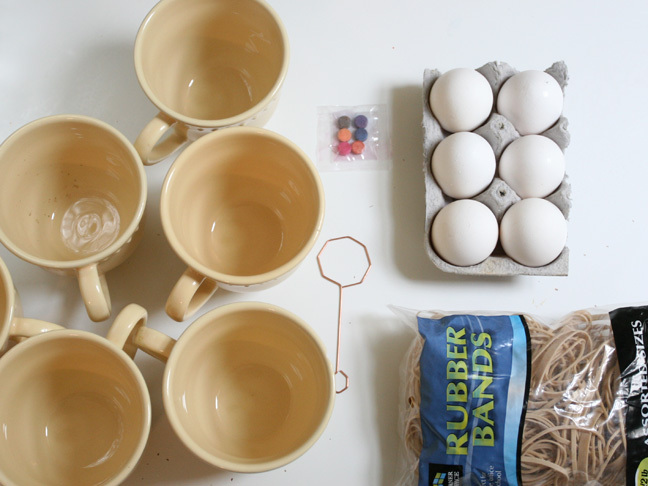 Using a new set of rubber bands (so the dye isn’t transferred too much) wrap them around the egg again in a random pattern or specific pattern, depending on what you’d like the end product to look like. 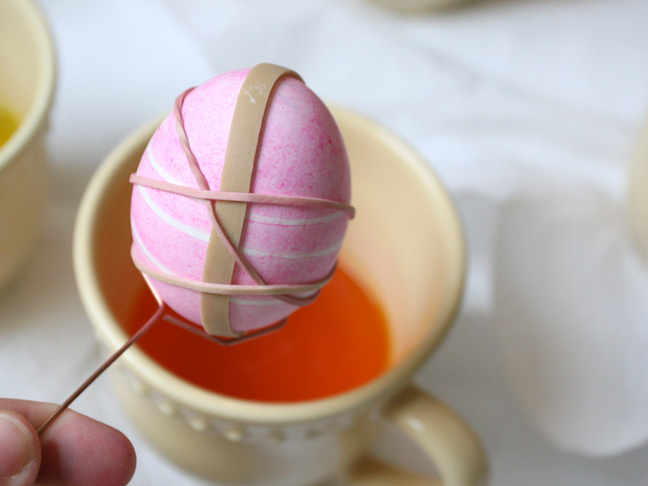 Dip it in a new color (I choose orange). 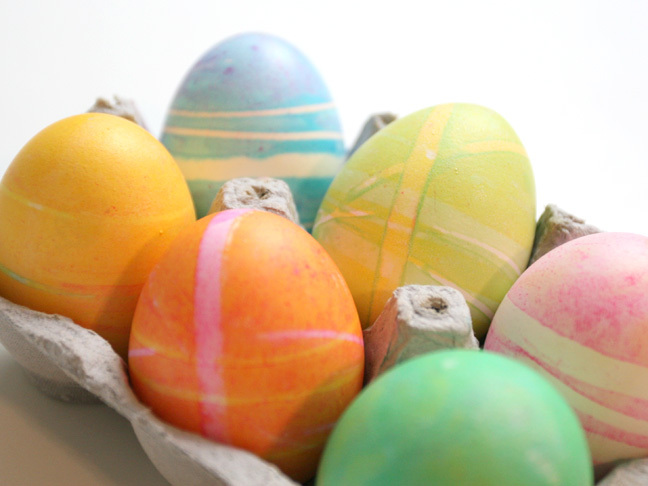 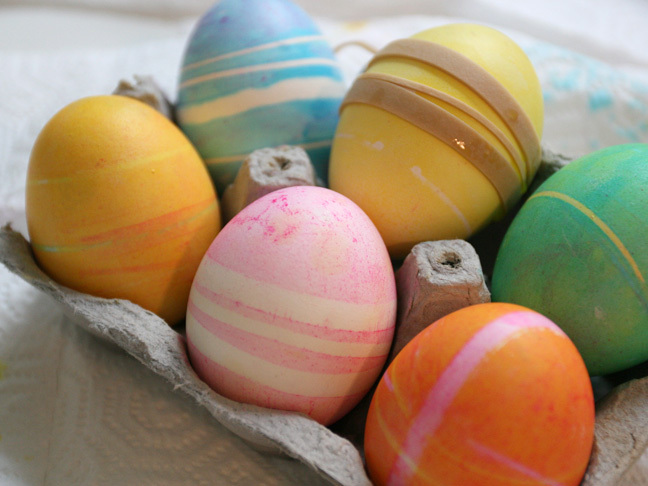 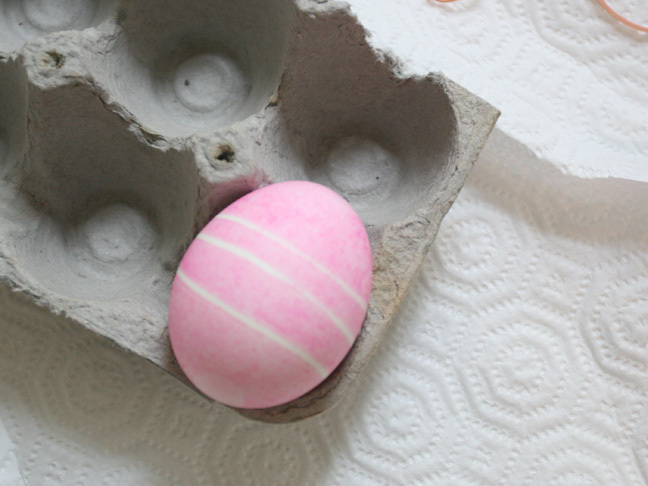 Let dry and dye additional eggs in varying colors and striped patterns.